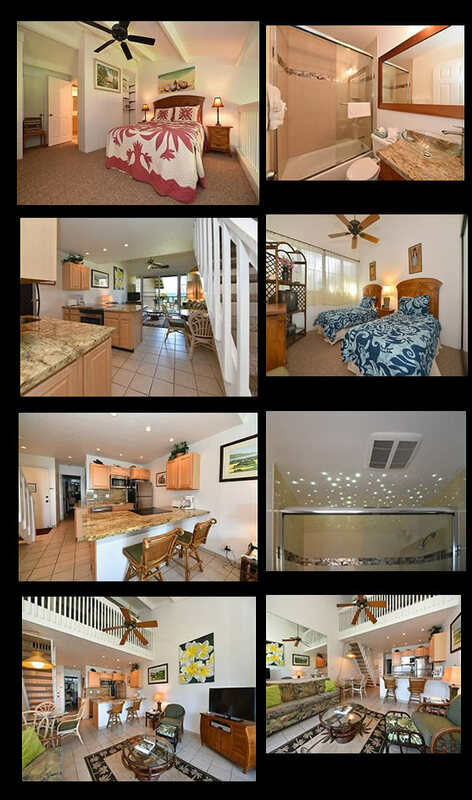 Welcome to condo #224, a second floor two-bedroom, two-bath oceanfront condo that has all you need for your Maui dream vacation. This condo has recently been refurbished to make your stay even more enjoyable. It sleeps up to six guests with a queen-sized bed in the loft bedroom, twin beds in the second bedroom, and a sofa bed in the living room. Comfortably furnished island style, it is decorated with authentic island art and photographs. For indoor entertainment, cable TV and a DVR and CD player are provided. From your lanai you can enjoy panoramic views of the islands of Lanai and Molokai on the horizon, the pool as well as the manicured grounds and tropical landscaping. Join new friends at sunset to cap off another great day in Paradise!